Google's new smartphones were, well, exactly what we expected. They're expensive, they have high-end components, and they feature industrial design by Google. There's a big one and a small one, and the only real differences between the two are those of proportion (battery size and pixel density). Pricing for the 5" Pixel starts at $649 with 32GB of storage, and the 128GB Pixel XL runs all the way up to $869. They can be substantially more expensive depending on where you live, too. As such, there is no doubt that Google is uninterested in being a champion of the "phone of the people" pricing model in 2016. These are phones priced to compete with Apple, literally: the prices are identical to the 32 and 128GB iPhone 7 and 7 Plus, respectively. That's not a coincidence, and even if Google were to say it was, I'd be the first to call them liars. So, what does $649+ buy you? An experience that is so completely a night-and-day difference from last year's Nexus 5X and 6P that you'd struggle to even tell the phones were built by the same company? Of course not: these are plainly Nexus-inspired smartphones, with Nexus-like software and a Nexus-like marketing narrative. You wouldn't pick up a Pixel phone and immediately intuit some massive, paradigmatic shift in the Google smartphone strategy, even if Google's narrative around these devices really, really wants us to think they're somehow hugely different. Yeah, nobody cheered for this part. The reality is that these seem a natural evolution of the phones Google has produced for years, and really not even that dramatic a departure historically from the Nexus approach. While we all like to think of Nexus phones as being highly affordable, things weren't always this way. The Nexus One and Nexus S retailed for $530 way back when. The Galaxy Nexus was $650 on Verizon. It wasn't until the Nexus 4 that the value pricing model came into play in a big way, and even so, the Nexus 6 broke that trend in 2014. 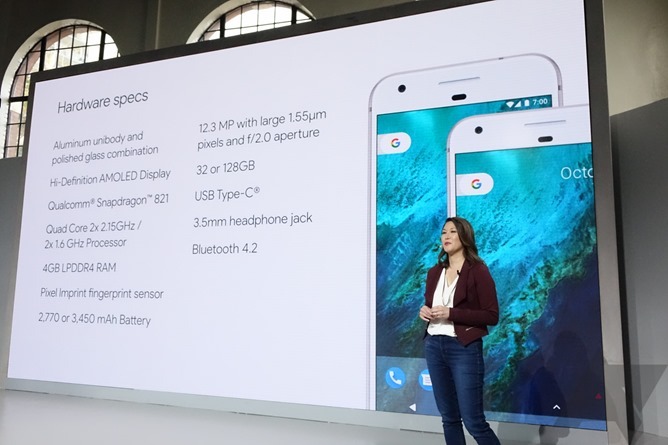 The Nexus 5X and 6P are fresh in the minds of fans and so too, then, is the pricing model Google unveiled with them last year. This year, things are quite different, and that has understandably caused tempers to flare. More money for a Google phone? Some people find the idea itself entirely indefensible, even if the Pixel and Pixel XL delivered specifications well beyond what was even possible today. What we see with the Pixel and Pixel XL is Google's decision to, for the time being, exit the affordable smartphone market. If you're the sort of person who got into Nexus for the specification to dollar ratio, the Pixels won't do a damn thing for you, and I can completely respect that. Value for money is a real concern, and Google's Pixels clearly alienate those who take this part of the smartphone equation seriously. 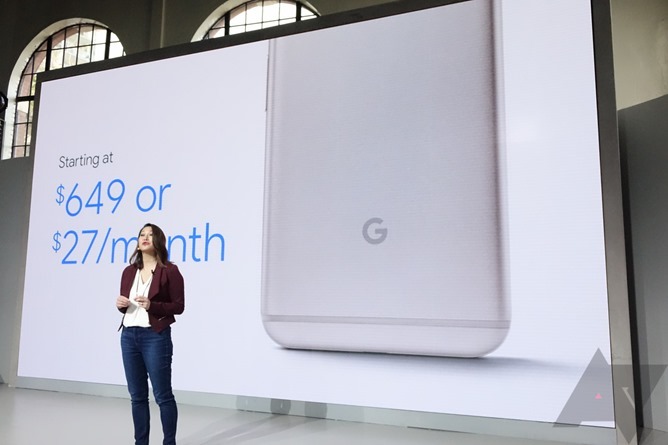 But: these phones clearly aren't meant to appeal to that market, and while feelings about this decision are quite raw at the moment, I'm not prepared to say Google did the wrong thing simply in deciding to market the Pixel phones in the premium segment. Why the big preface to a mere hands-on post? Because I feel it's important to get something out of the way: there's a distinct difference between having an opinion about these phones on the merits versus having an opinion about them in relationship to Google's previous smartphones. This post isn't about the latter, but I felt it was worthwhile to explain why I won't be evaluating them as a function of the Nexus 6P, Nexus 6, 5, or whatever. While there is less separating the Pixels from the Nexuses than Google might have you believe, there's also not much to be gained by spending an entire article telling you there's no way a $770 phone is $270 better than a $500 one. To the phones themselves: the design is what it is. Some people love it, many loathe it, and I find myself largely apathetic on the issue. They look... like phones. There really isn't much about them that is terribly distinct or interesting as physical objects. They're inoffensive and, honestly, pretty bland. The big design flourish - Google's glass "window" on the back - feels more than a bit forced. But it's also not what I'd call definitively unattractive. It's just sort of there. As for all the talk of the subtle tapering of the device thickness toward the bottom? I can't even notice it. 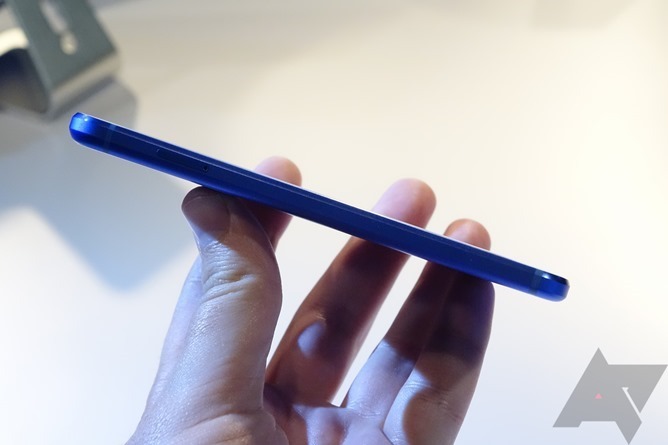 My guess remains that the phone is thicker at the top mostly to avoid having a camera hump, and the taper was a convenient way to accomplish this. So what about the software? What do the Pixels bring to the table that the Nexuses of past have not? 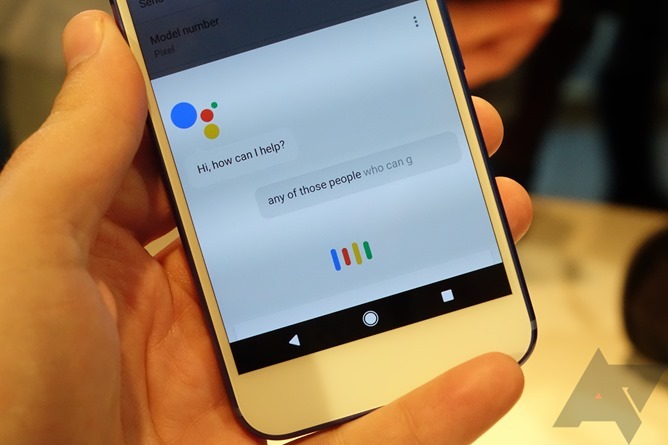 Assistant is Google's big push, but really, I think assistant is like most Google products at launch: far less capable than Google's idealistic demos would have you believe, even if it is still technically impressive. 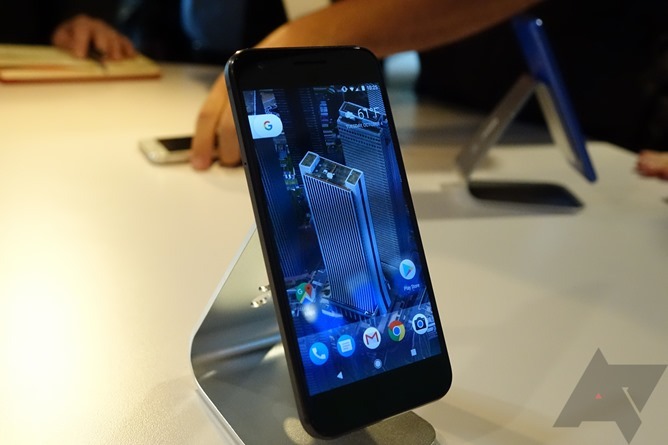 You get some Pixel-bespoke features like the Pixel launcher, the Assistant launch shortcut by long-pressing the home button, new gestures (fingerprint scanner can pull down the notification tray), a brand-new live support function, and Android 7.1. None of these are inherent game-changers. I didn't have a good chance to really judge the quality of the phones' AMOLED displays, so I don't have much to comment on there, nor did I spend any time testing the external speaker, headphone jack, or camera. These sorts of things simply aren't practical to evaluate in a brief hands-on context (I had maybe 20 minutes with the phones). When we review the phones, you'll hear a lot more about these facets. 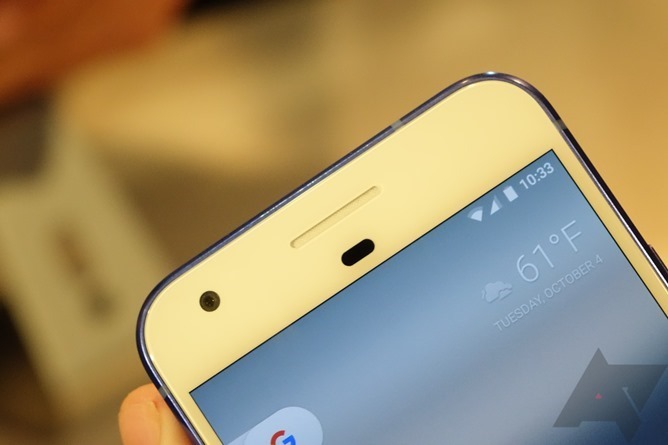 What makes the Pixel phones interesting, to me, is the relative lack of technical compromise. They have a fast processor. A fast camera (with improved and quicker HDR+). Fast storage (UFS 2.0). A fast fingerprint scanner. Fast software (they really are blazing-quick). Fast charging. Fast updates (seamless updates). A fast GPU (for VR). 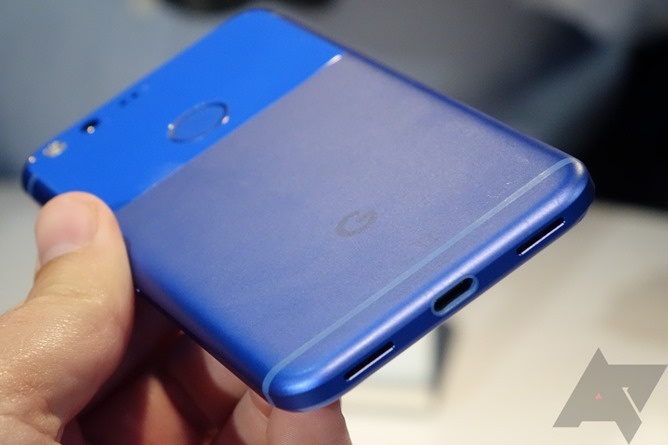 There is little about these phones you can point to and say Google cheaped out on. And isn't that what so many of us have been demanding for years? 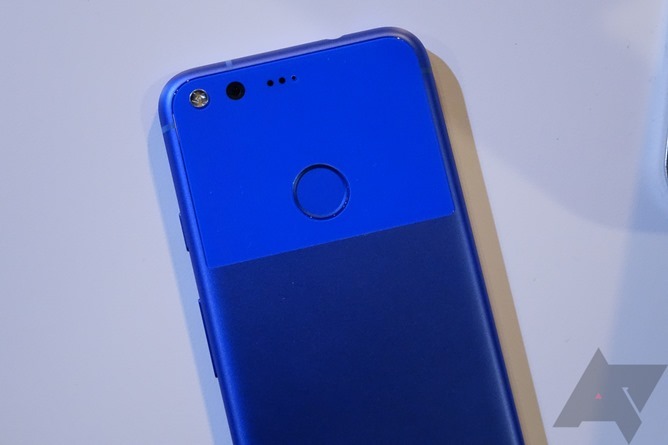 A Google phone that could be positioned against the iPhone as legitimate competition (even if the iPhone does have its advantages - and disadvantages). Has Google actually delivered on that promise, though? Or has its lust for perceived legitimacy as a manufacturer brand exceeded the realities of what it can achieve? Until I actually spend real, quality time with these phones, I can't answer that. A big part of me wants to be cynical about the Pixel phones - to say that Google is just forcing its way into an iPhone comparison that it hasn't necessarily earned. Another part of me wants to believe that by exercising more control than ever over its smartphones, Google will be able to deliver the smoothest, most enjoyable Android device experience on the market. Or, more likely: that the messy reality lies somewhere between the two. When we get our Pixel phones in for review, I hope to come to some sort of conclusion in this regard. Until then? 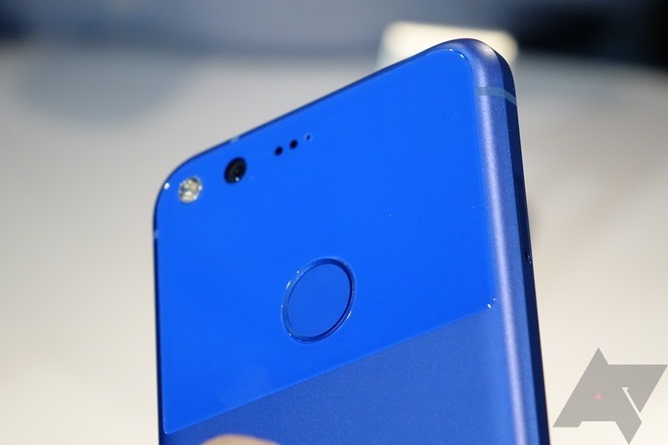 While the messianic expectations some have thrown on Google's Pixels have saddled them with a, frankly, unfair and unrealistic burden, these seem like very decent phones.